SEBAGO — A family with deep restaurant roots in the Portland area is bringing its Italian-inspired recipes to the shores of Sebago Lake. 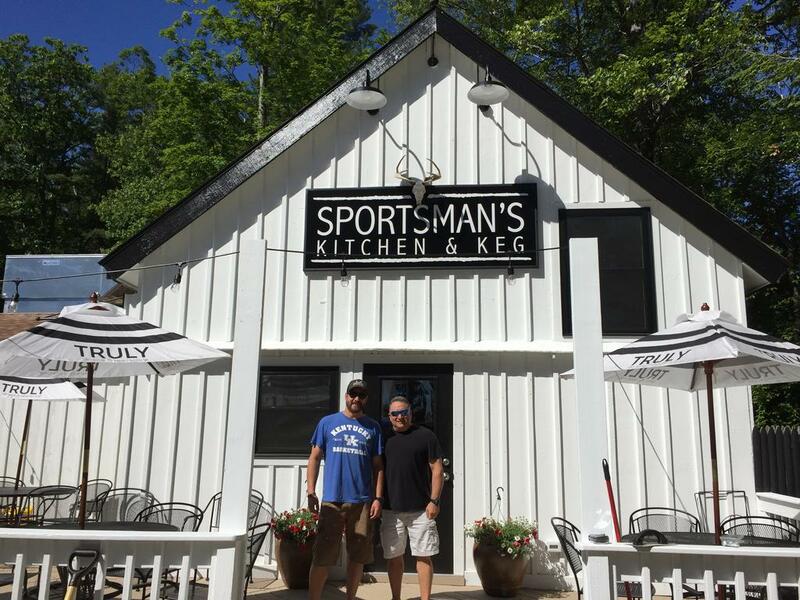 Father and son Paul and Rocco Severino planned a Friday opening for the Sportsman’s Kitchen & Keg, a restaurant and bar on Route 114 in Sebago. The business is the realization of a childhood dream for the younger Severino, 33, who grew up working in the food industry – including at the landmark Sportsman’s Grill in Portland run by his grandfather John “Sonny” Severino, great uncles and his father. The new venture is a nod to the family’s former popular Portland restaurant “to a certain extent” in that it will serve Italian family recipes, said Paul Severino, 58. He traded the restaurant industry for a job in insurance after the Sportsman’s Grill, which operated for nearly 50 years, closed in the late 1990s. “At the end of the day, it’s a new place with new food,” he added. Both Severinos now live in Standish, and the family has been coming to the Sebago Lake area since the 1970s. Rocco Severino said the bar will have 12 draft lines with an emphasis on serving local beer, including Lone Pine, Bissell Brothers, Rising Tide, Mast Landing, Foundation, Oxbow, Bunker, Sebago, Shipyard and Peak Organic. The Severinos purchased the property, previously home to restaurant O.Dans, on March 16 for approximately $775,000. They’ve since put more than $200,000 into work on the restaurant and surrounding buildings, they said. The property includes eight cottages, all newly renovated and available for weekly rentals during the summer, as well as a 90-foot dock on Sebago Lake that will allow boaters to tie up and dig in at the restaurant. Rocco Severino said they’ve”remodeled the entire place,” which can seat about 50 people inside and 20 on an outside patio deck. He acknowledged that the business is “spatially challenged” both inside and when it comes to parking, but said he’s confident they will make it work. Coupled with the cabins and dock, he envisions an “all-inclusive, resort-type of feel” for the property. The idea for the restaurant at that location had been in the works since last year, he said, when he heard that O.Dan’s might close. He got a job there to assess the business traffic and began conversations with the previous property owner. The Severinos plan on having outdoors games and, eventually, live entertainment. Sebago Town Manager Michele Boukoveckas said people in town are “very excited” about the new restaurant. The Severinos plan to be open year round, and aim to become a place that caters to locals while also providing a new option for tourists and summer residents. “Our main goal is to become a staple in the community,” Severino said. His father added that they are looking to attract ice fishermen, snowmobilers, and other outdoor enthusiasts for year-round clientele. Severino has already spent 15 yeas in the restaurant business, managing Sea Dog Brewing Company in South Portland and helping to open Hunker Down, a new venture from Portland restaurateurs Jason Loring and Mike Fraser, at Sugarloaf this winter. Severino said he’s turned to Loring and others for informal business advice while working to get the restaurant off the ground. Loring is also in the midst of a new Lakes Region restaurant venture, running the Hunker Down kitchen as part of Windham’s new country-themed bar Erik’s Church. “As Portland becomes more saturated … I think that’s the next step,” Loring said about the restaurant industry growing outside of the city. To start, the Sportman’s Kitchen & Keg will be open 4-10 p.m. Mondays through Thursdays, 11 a.m.-11 p.m. on Fridays and Saturdays, and 11 a.m.-8 p.m. on Sundays. The Severinos eventually plan to serve brunch as well. Severino said his whole family is involved – including his mother Missy and sisters Alexis and Landyn. The family has made a long-term investment in the project, and plans it “to be a family-run business hopefully well into my older years,” he said. It’s all in the family at the Sportsman’s Kitchen & Keg, a new restaurant on Route 114 in Sebago owned by Father and son Paul and Rocco Severino. Paul’s father and uncles ran the Sportsman’s Grill in Portland for years.